The holidays are about time spent with family and friends, so bring the gang aboard one of our festive holiday-themed trains. You can meet Santa, or be dazzled by our historic train covered in thousands of twinkling lights. A holiday trip through the Red Clay Valley will surely be both magical and memorable for your entire family! 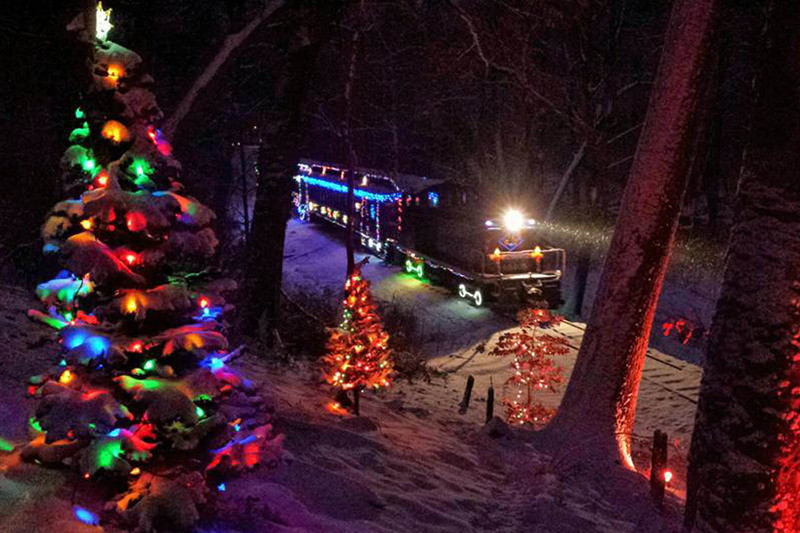 Enjoy a peaceful interlude at the end of the year with a 45-minute evening ride aboard our vintage train, which is covered in thousands of holiday lights. 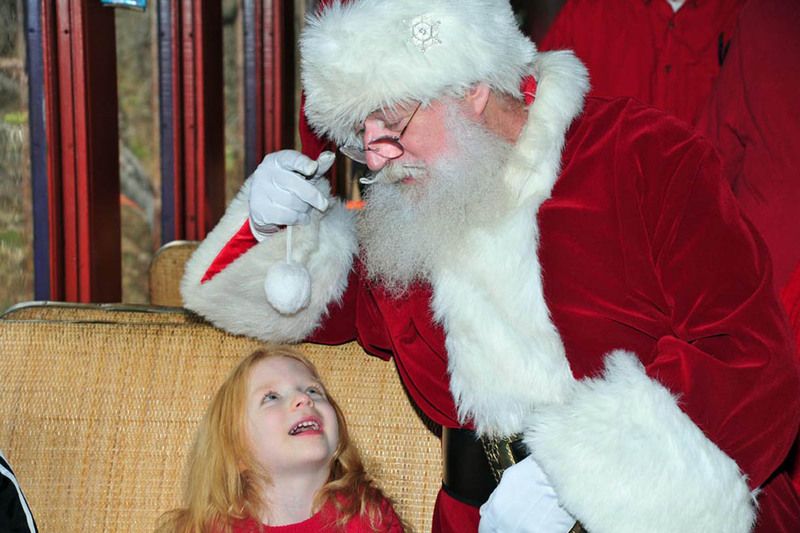 Bring the family and take a train ride with Santa! The Jolly Old Elf himself rides the train and greets everyone on board, and gives all children a chocolate treat.